CAE today announced that the NATO Flying Training in Canada (NFTC) program recently surpassed a major milestone - more than 350,000 hours of live flying training since its inception more than 15 years ago. Since the first flight of the CT-156 Harvard (Beechcraft T-6) in the spring of 2000 and first flight of the CT-155 Hawk (BAE Systems Hawk) in summer of 2000, more than 350,000 hours of live flying training have been delivered to the Royal Canadian Air Force and other international customers who have sent more than 1,000 pilots through the NFTC program. NATO Flying Training in Canada is operated by CAE out of Moose Jaw, Saskatchewan, and Cold Lake, Alberta. Specifically, the CT-155 Hawk fighter lead-in trainer fleet has accumulated almost 110,000 flying hours representing more than 95,000 flights while the CT-156 Harvard fleet has amassed more than 240,000 flying hours representing more than 200,000 flights. The live flying training program and full maintenance and operation of the aircraft are managed by CAE as the prime contractor on the NFTC program and overseen under the governance of Canada's Department of National Defence airworthiness program. "We are fortunate to have over 700,000 square kilometres of air space available to us so we have a very high flying rate compared to most military flying schools," said Colonel Alex Day, Commander 15 Wing Moose Jaw, Royal Canadian Air Force. "Our fleets of Harvard and Hawk aircraft have proven to be highly-effective in helping produce high-quality military pilots and we congratulate the many industry and military professionals over the years who have contributed to reaching this milestone." CAE operates the NFTC program out of 15 Wing Moose Jaw and 4 Wing Cold Lake, and the program is designed and operated in partnership with the Government of Canada. The NFTC program combines basic, advanced, and lead-in fighter training as part of the comprehensive pilot training program. As the prime contractor, CAE operates the NFTC base facilities, delivers the ground-school classroom and simulator training, and supports the live flying training that comprises the comprehensive pilot training program. "CAE is honoured to play a lead role in what is considered one of the world's premiere military pilot training programs," said Mike Greenley, Vice President and General Manager, CAE Canada. "It is a tremendous responsibility to conduct flight operations and aircraft maintenance on a daily basis for the past 350,000 hours of live flying training in Canada, all under the government's stringent air worthiness directive. Our highly experienced team thrives in this role and we look forward to supporting the RCAF and other international customers on the NFTC and future pilot training programs." Note to editors: Photos are available for download. 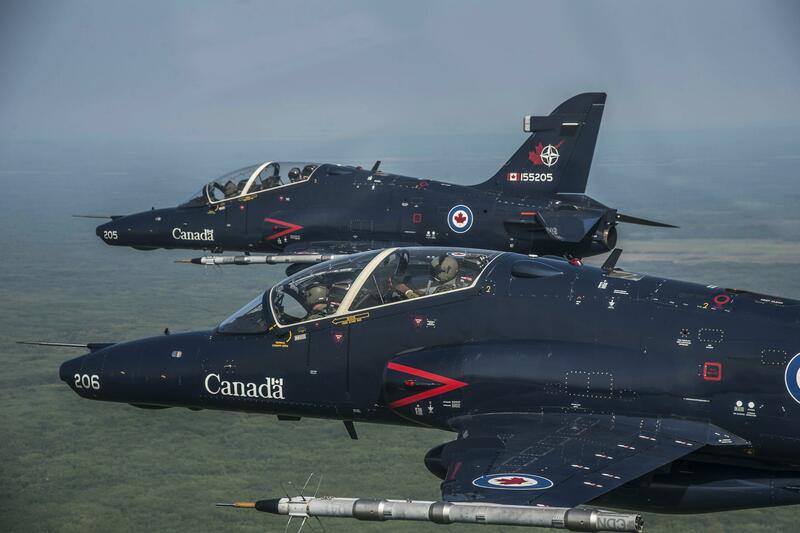 Caption:The NATO Flying Training in Canada (NFTC) program managed by CAE recently surpassed 350,000 live flying training hours with its fleets of CT-155 Hawk and CT-156 Harvard aircraft.